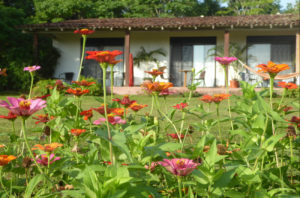 Welcome to “La Rosa de los Vientos” (The Wind Rose), our bed & breakfast, located 1 mile from the charming village of Pedasi, Panama. 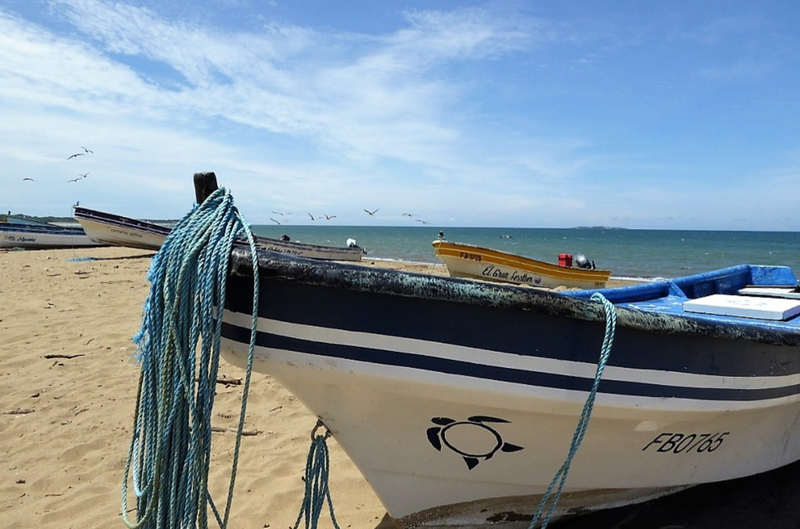 The area of Pedasi is renowned for its great sport fishing, surfing and scuba diving. Here, you’ll find miles of deserted sandy beaches and a tropical island (Isla Iguana) with extensive coral reefs. There is a great diversity of activities, of the adventurous and leisurely kind. The inn is set in a beautiful tropical garden with stunning ocean views. The 2 hectares property is surrounded by undeveloped land of green pasture gently sloping to the Pacific Ocean. 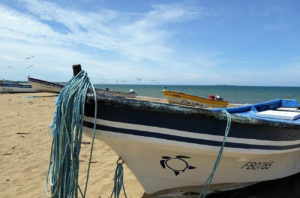 The nearby beach, Playa El Toro is 5 minute walk away. Contact Us for more information on availability and rates. The new building is inspired by the local colonial architectural style, with a covered porch supported by wooden pillars and antique colonial tiles. The three ocean view rooms open to the veranda, where you can relax in hammocks in the ocean breeze. 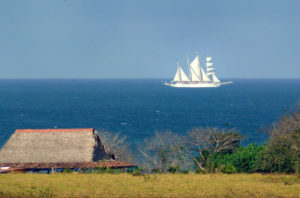 From the porch, one can see whales playing in the nearby ocean and observe many bird species. 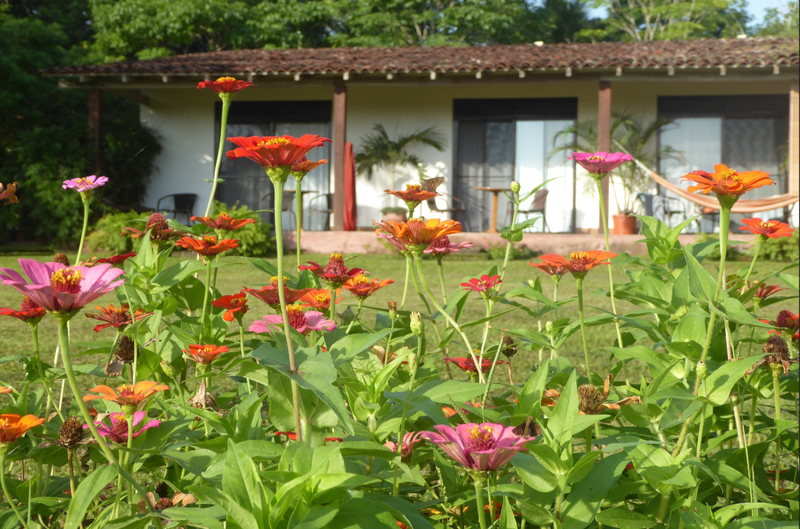 We wish to provide our guests a place to rest and relax in the midst of the tranquil beauty of the Azuero landscape; a respite in their too often stressful lives. Here only the songs of the birds and frogs will distract you. At night, the only lights are the moonlight, and of the thousands of stars and lightning bugs.